In a city with a strong focus on tourism, the Neri products chosen included the most modern and contemporary shapes, however the more classic shapes were not entirely excluded, especially for historical sites such as temples. The Gateway of India overlooks the port of Mumbai and the Arabian Sea, and is one of India’s most unique landmarks. The monument was erected in 1924 to commemorate King George V and Queen Mary’s visit to Bombay. Mumbai train station was originally called Victoria Terminus in honour of Queen Victoria who was the ruler at that time. In 1996, the station was renamed after the seventeenth-century warrior king Chhatrapati Shivaji. The city of Udine is located in the centre of the Friulian region. A dozen or so kilometres from both Slovenia and Austria, it is strategically positioned in the crossroads of busy European routes. Neri’s presence on the Indian market began in 2012. Over the years, it has strengthened its position and spread throughout the country. Venosa, in Basilicata, is considered one of Italy’s most beautiful villages. The city was founded in the year 291 BC by the Romans, who dedicated it to Venus. The city of Chiavari overlooks the Ligurian Sea of the Western Riviera to the east of Genoa. The Chiavari historic centre can be considered one of the best conserved and preserved areas in the district. Just a short distance from Genoa, right from half of the 19th Century Rapallo has been an international tourist destination. This due to its gulf, mild weather and rich surrounding vegetation. Piazzale Michelangelo is the most panoramic place in Florence. It is a marvellous space with one of the most beautiful panoramas in the world. Portici rises up from the slopes of the western face of Vesuvius and occupies a small area of land along the coast of the Bay of Naples. The city of Florence is surrounded by striking hills, crossed by a maze of narrow lanes where only one vehicle can pass at a time. A magical place, little known but much loved by the Florentine people. Based on project by the Gran Studio Villa Triste, Canazei was illuminated with a lamp post designed by architect Pietro Zulian. In the historic centre, the old Neri lanterns installed in the past were mounted with the new Refitting kit recently designed in the company’s laboratories. Halfway between The Hague and Rotterdam, Delft is an important Dutch city that rose up in the 12th century along the recently-built Delf canal. In Longiano, the lighting was done by Neri following the request of the architects, who asked for a simple object with 4 lights. The lighting fixture that has been chosen is ‘Light 37’. Neri’s collaboration with the city of Turin and AEM, started many years ago. It has developed over time through many different projects, several collaborations undertaken to respond to several different needs that the city has presented to Neri at different times. Today, the Dublin Half Bridge lanterns are white, which was the original colour of the entire metal structure, and the model used is the ‘Light 801’ by Neri. In Busseto, the same lanterns, which were previously equipped with sodium vapor lamps, were refitted with an LED kit designed specifically by Neri. According to the design by architect Marco Casamonti, Neri realized a lamp post with a strong personality. It has been designed for Cesare Battisti street, one of the main street of the city of Cesena. Neri restored and reproduced the lamp posts chosen to light up the promenade and the city’s most important squares, thus creating a harmonious and coordinated project. This presentation shows the different production steps of a new lamppost base, specifically conceived for an important leisure park project. 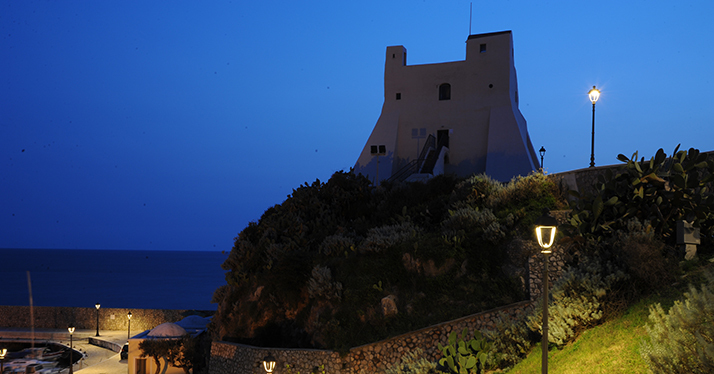 In Sanremo Neri has created a specially designed LED kit that was installed inside the existing lanterns. Saiph was designed by Alfredo Farnè. The system has a two-part aluminum base with specific slots designed to hold decorative lighting modules available in green, yellow or blue. The top is formed by two parallel arms angled downwards. 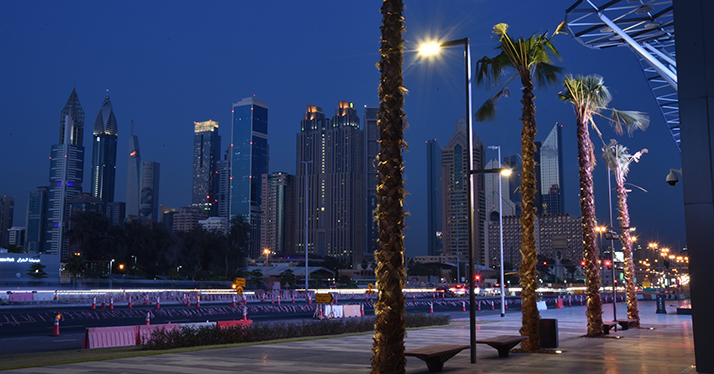 Neri products have enhanced various areas of Dubai Parks. The project called for a different type of product for each of these. Over the years, Neri restored all the posts, which were often similar, of the following italian cities: Cesenatico, Pesaro, Fano, Senigallia, Ancona and Loreto. The public lighting design, created by Neri, covered the town of Sassoferrato and Corinaldo, using various solutions according to the places lit. Verona, like many other cities, has replaced the old catenary mounted luminaires suspended in the middle of the roads. The old lighting fixtures have been replaced with Neri ‘Light 34’. Cortina d’Ampezzo is nicknamed the ‘Queen of the Dolomites’. To illuminate it, a custom product was created, drawing from historic research. Chara is designed by Studio ATA, won the Neri Award and was selected for the ‘Compasso d'Oro’ Award in 2006. Rigel system, designed by Alfredo Farnè, was conceived for streets with a predominantly urban traffic. Its shape is characterized by a simple and linear bracket and the cast iron decoration that adorns the base. In Rome and Venice, Neri’s lampposts had to establish a dialogue with bridges, such transparent and dynamic structures, in a fortunate combination between classical and contemporary forms. For the Union House lighting, ‘Light 106’ was chosen, which recalls the design of the original lamp posts. The luminaires that are most often replaced with new products are the spheres that, from the 1970s to 2000, have literally taken over our coastlines, urban gardens and many city centres. In its laboratories, Neri created an IP66-grade LED module with tin programmable power supply. Its high technology can even be used in luminaires installed 50 years ago that would otherwise be incompatible with LED technology. Neri, in partnership with Enel Sole, restored the universities’ original lanterns which crowned the railing lining three medieval towers. It is a place of great charm. Neri was chosen to preserve the historical cast iron lamp posts of Verona that at the beginning of the twentieth century were realised to light and decorate the old town centre, from ‘Piazza Erbe’ and ‘Piazza Bra’ up to the bridge of Castelvecchio sull’Adige. The City of Lucca asked Neri to reconstruct the models and reproduce the lampposts to reinstate the historical lighting system, adequately lighting an area fequented by the citizens. For over a century now, a light shines out to sea from a large iron lantern which, considering its size, has probably always operated as a lighthouse. This unique structure has, over recent months, been restored in the Neri SpA restoration workshops. Restoration of the 10 original lanterns that have illuminated the fish market for a century was entrusted to Neri SpA. Piazza Trento e Trieste, the central square next to the cathedral, has been lit using bespoke 1900 columns with ‘Light 23’. ‘Light 106’ with a 45W Cosompolis globe were chosen for lighting and furnishing purposes. On the edge of the square, near the entrances to the car park, we used high posts with two swan neck brackets, and ‘Light 23’ with 140W Cosmopolis globe. In ‘place Masséna’ in Nice, Neri’s task was to reproduce 44 steel and cast iron posts with an original shape dating back to the years between the two World Wars. Piazza Garibaldi in Senigallia was recently inaugurated after a major transformation which has returned it to its original state. This included restoring the buildings overlooking it, installing new paving and lighting with Neri Nashira system lamp posts with 'Light 600'. Neri is proud of having worked with so many theatres in Italy and in the world. Among the most famous there are La Scala in Milan, La Fenice in Venice and teatro Massimo in Palermo. Grado is a town in the north-eastern Italian region of Friuli-Venezia Giulia, located on an island and adjacent peninsula of the Adriatic Sea between Venice and Trieste. San Severo is a ‘comune’ in the province of Foggia, Puglia, south-eastern Italy. Rising on the foot of the spur of Gargano, San Severo is a center for mercantile and agricultural traditions. The Darsena, built in the 17th century, is closely related to the Naviglio Grande, a unique work of medieval hydraulic engineering in Europe which characterised environment, life, transport and commerce in Milan. In ‘place du Louvre’, which host the pyramid of the homonymous museum, Neri has reproduced some of the posts and bronze lanterns placed along the ‘Court Carrée’. 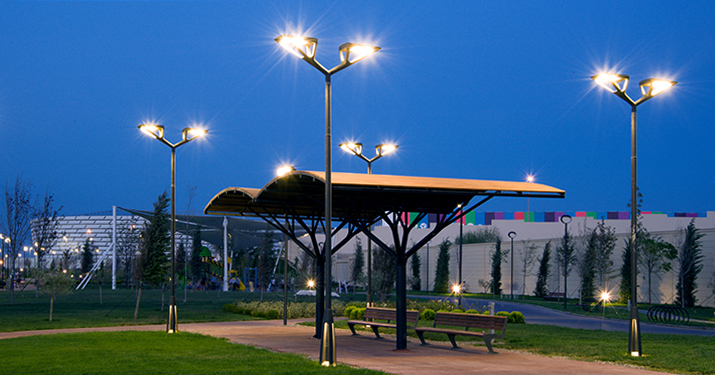 Archilede includes design, performance and energy saving in a single street lighting system. The Municipal Theatre of Reggio Emilia is located on one of the most significant town squares. The theatre building was constructed between 1852 and 1857, with a neoclassical façade on two stories. The function of the Historic Center that characterizes all European cities, large and small, finds in the shopping center a modernized replica of the social evolution of the second half of the 20th century. Griffin Ranch is a charming residence in La Quinta, located in Riverside County, California. The Grove is located in Fairfax, in the west of the city of Los Angeles. This area, which has always been inhabited by the Jewish community, is a perfect mix of old and new. Simi Valley Town Center in California is a shopping center structured around a central pedestrian street lined with shops of all kinds and three different squares. The Village and The Park in Irvine are two examples of urban excellence. They are located not far from Los Angeles. Neri helped the architects of ‘Studio 2P Architettura’ from Lucca (Tuscany) to realise their custom project for Gambettola. Syrma system has been chosen to light Gambettola while Lilium series to furnish it, with some elements from Carya and Idesia. The Irvine Spectrum Center was inaugurated in 1995 and, over twenty years, was gradually extended in 1998, 2002, 2006 and will be completed in 2018. In Friuli Venezia Giulia Region many projects received financing to renew public lighting throughout the region. We would like to illustrate the projects for Ovaro and Treppo Carnico – both carried out with ‘Light Nova’. Neri provided lighting for most towns in Carnia, fitting in with the various contexts with a variety of products, showing great respect for architecture and countryside. We are proud that Neri lamps have been chosen to illuminate the new Pagani factory, a successful combination between classic and contemporary in the name of a shared high-quality approach. A strategic part of the Water Canal project is the lighting, which has been entrusted to Neri. Neri worked side by side with Greek lighting design firm CPLD to make sure the result was exactly what designers and clients were after. To furnish and illuminate Fashion Island we chose ‘Light 600’ lanterns, the lamp posts of the Kuma system and the wall brackets of the Tabit system. In a process to upgrade the luminaires installed in the past have now been replaced with Neri ‘Light 804’ LED luminaires. Along the beautiful Laguna Beach promenade overlooking the beach, between the palm trees and agaves, the Layia series litter bins have been installed. The renovation project of Piazza Cavour included saving the four surviving original benches, and reproducing 66 copies to furnish the large square, in addition to a lighting project with lamp posts in steel and cast iron. Neri is proud to have brought light to this enchanting place, and to have contributed to its magical atmosphere with ‘Light 804’. Near Palazzo Comunale in Imola 15 wrought iron brackets have been decorating and providing light for the building with fake candles for over a century. Neri was asked to restore them. Neri took care of historical lamp posts restoration, replicating the missing parts, equipping the lamp post with a steel core, and restoring the completely rusted surface to its original condition. Piazza Unità d’Italia has been reshaped many times over the centuries and the current appearance resulted from the restoration from 2001 to 2005. The original iron cast lamp posts were restored as well. In 2011 a decision was made to close to vehicle traffic San Silvestro square in Rome, turn it into a pedestrian area and requalify the area is a project by architect Paolo Portoghesi. In the early 2000s, the Fondazione Neri – Italian Museum of Cast Iron, in Ravenna, identified two extraordinary original lamp posts located and subsequently launched the alarm to have them preserved. During the past few years, Neri has often worked closely with Silfi, Florence’s electric company. Solutions were researched that could safeguard aesthetics and tradition, while also improving energy savings, visual comfort and general efficiency of the lanterns installed. Many urban reclamation operations in Dublin have been carried out, and specifically in the lighting sector. Neri has been involved constantly since 1999. For many years, Neri has been working with Matera to provide suitable lighting and enhance its beauty. 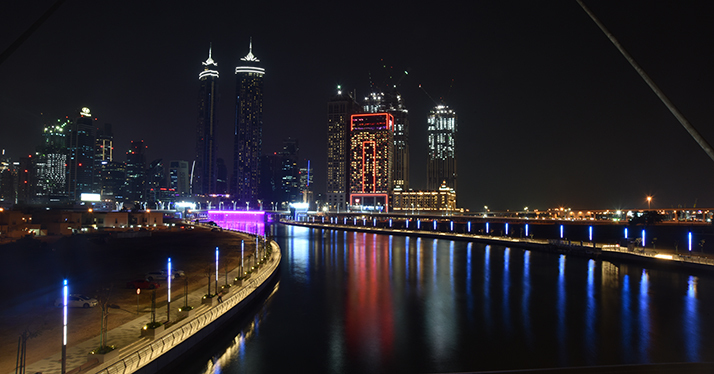 Different types lighting systems have been chosen for different areas of the city to enhance the lines and atmospheres with appropriate lighting. At the end of the 1970s, the Municipality of Rome purchased Villa Torlonia and started restoring the architectural emergencies inside the park. Positioned right on the tip of Punta della Dogana for more than 150 years, there is a great post made by Hasselquis of Venice between 1851 and 1859. The post was restored at Neri’s laboratory. Franco Zeffirelli directed productions at the Arena, and his presence helped produce a proposal for a redesign of the verandas of the different businesses. This is how Neri came to work closely with Mr. Zeffirelli. The Pearl in Doha,Qatar, is an artificial island with an area of four million square meters. It is the first land in Qatar that foreigners have the right to buy and own. The city was entirely lit with LED lighting by Citelum, who replaced thousands of lighting elements with similar products equipped with LED sources. Meraas Outlet will open in October 2016 about 40km out of Dubai. The lighting designers of this project ordered bespoke luminaires that Neri made. 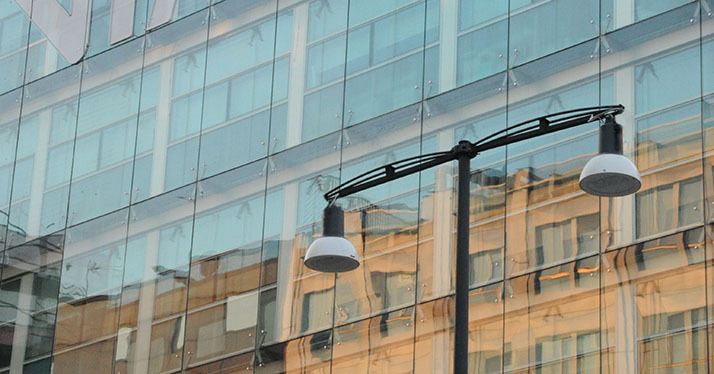 After having successfully completed the project in Milan with ‘Light Nova’, the utility company A2A extended the project to Brescia in order to renew all of its street light. Spello ans Assisi are perfectly preserved Italian medieval towns. They are associated with Saint Francis, who lived in this area, which is still captivating and beautiful. Neri is proud to have contributed to restoring this magnificent place filled with history and culture by providing street furniture and lighting throughout the entire city, with different types of brackets, arms and luminaires that integrate with the different urban contexts. Pisa is a city in Tuscany, Central Italy. Neri has restored the old trolleybus poles changing them in lamp posts, it has made a series of maintenance operations on lamp posts and it has installed new lighting systems. At the gates of Rome, Cinecittà World is the first theme park in Italy dedicated to cinema. Neri was responsible for lighting the entire park. 800 ‘Light 104’ produced by Neri SpA have been installed by Enel Sole in the Lunigiana villages, Tuscany, an historical territory of Italy, which today falls within the provinces of La Spezia and Massa Carrara. Muscat is the capital of Oman and one of the oldest cities in the Middle East. Neri has provided the lighting for several areas in the city. In Grasse there have been for years two types of hand-made lanterns in iron, one with square shape and one with hexagonal shape. Neri has provided for both a LED kit easy to be installed in the already existing fixtures. The products designed by Neri are the result of internal research and of international collaboration with designers. We have chosen many projects from around the world, including France. The Hotel Royal in Évian-les-Bains is rich in history, located in a charming place that was already well-known in the 1800s. Luckily, the hotel kept the cast iron candelabras that provided lighting for guests in the past. During the opening of the Maciachini metro station on the new purple line 5, the cemetery square was entirely renovated, in the paving, gardens, and lighting. The city of Bergamo preserved most of its historical heritage of cast iron lighting posts. For SILFI in Florence, which has been managing the electricity of the Tuscan city for 50 years, Neri designed ‘Light 102’. As of 1935, Novoli was the chosen site for FIAT production activities firstly in the aeronautics sector, and later in the automobile industry. The War Memorial Museum is a museum that tells the history of New Zealand, its role in the Pacific and its people. City Walk 2 has just opened in Dubai. It is located on Al Safa street, the large street that leads from the main road Sheikh Zayed road towards the sea. The Bridgeport Village Mall is located in Portland metropolitan area, in the Willamette Valley, the most populated region of the state. A new city is being built 15 km from Doha, the capital of Qatar: Lusail. Dubai is the capital city of one of the seven Emirates that form the United Arab Emirates. It is situated in the south of the Persian Gulf in the Arabian Peninsula. A previous presentation was dedicated to the installations of Nova in Milan, whilst this one shows different examples of installations under colonnades and in its catenary version over the streets. Light Nova is one of Neri’s most innovative products in terms of lighting performance and design. Mariah, in the United Arab Emirates, is a burgeoning islandthat is home to residential and commercial areas with luxurycentres and hotels. Since 1873, Perugia was lit by gas lamps with 18 large cast iron posts made in Rome. Neri has been working on the Caribbean island of Puerto Rico for 30 years. Two shopping centres in Orlando, Florida, Lakeside, in Winter Park, and Parkside, created by Unicorp National Developments, Inc.
Gulfstream Park is the most important mall in Miami. Victoria is the capital city of British Columbia, Canada, not far from Vancouver. 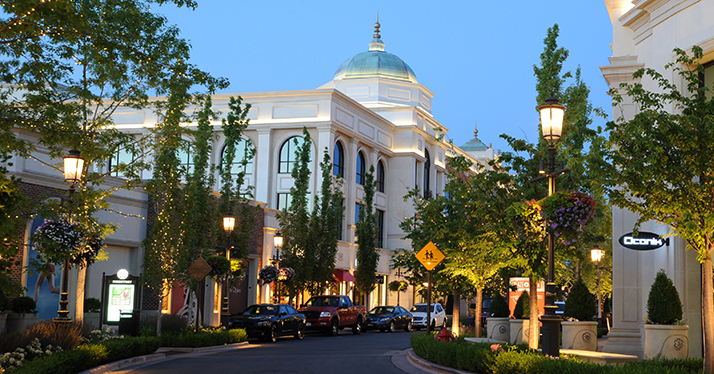 The Village at Meridian in Idaho, where Neri has illuminate and equip a top-quality location. Siena has been the scene of one of the largest and most important restoration projects ever managed by Neri. Portopiccolo Sistiana is a residential complex of 460 houses overlooking the sea, with shops of excellence and 124 berths. Baku, the capital city of Azerbaijan, hosted the 1st European Games in 2015. Station park in Farmington (Utah) is a top-notch mall that has recently been completed. The Malatestiana Library in Cesena, is the only example in the whole world of a Renaissance humanistic library perfectly preserved. Cortona is a town and ‘comune’ (municipality) in the province of Arezzo, in Tuscany, Italy. Originally an Umbrian city, it was conquered and enlarged by the Etruscans, who called it Curtun. The Emirates Palace in Abu Dhabi is one of the most luxurious hotels in the world; it combines Arabian splendour and technology to offer a magical and memorable experience. Albenga is called ‘città delle cento torri’ (city of a hundred towers), because of the numerous towers situated in its emblematic old town centre. Bitonto, important city in Puglia (Southern Italy), is nicknamed the ‘city of olives’, due to the numerous olive groves surrounding the city. Bari is one of the most important cities of Southern Italy. Its harbour serves as the largest touristic port of all of the Adriatic Sea. Around the world, numerous hotels are lit and furnished by Neri. Sperlonga is an elegant town with a well preserved historical centre, a very attractive place that is part of the ‘most beautiful villages of Italy’ route. Monopoli is a town in the province of Bari, in the Puglia region. Its characterful medieval centre overlooks the sea and is surrounded by high walls. City of art of southern Italy, Lecce is known as the ‘Florence of the South’ or the ‘Florence of the Baroque’. Senigallia has chosen the elegance and functionality of Hydra for the refurbishment project of its seaside promenade, one of the most picturesque stretches of the Adriatic coast. Neri furnished and lit the amphitheatre at the Expo park.